British Columbia Investment Management Corporation (BCIMC) claims to be a model corporate citizen following ethical principles in its business dealings but there is emerging evidence BCIMC may be a criminal organization that terrorizes law abiding citizens in order to take over their property. The story of how BCIMC secretly conspired to take over the property of Pacific Rim Resort owned by the English family reveals a network controlled by BCIMC stretching from Victoria, British Columbia, to Atlanta, Georgia. The campaign of terrorism included, firebombing, vandalism, death threats, abuse of municipal power, abuse of government power, obstruction of justice, and attempted murder as part of a conspiracy to acquire private property at fire sale prices. All investors in British Columbia need to be aware of these tactics by Government agencies. There is an ancient legal maxim: "He who profits most from a crime is the one most likely to have committed it"
The available evidence shows that crimes were committed and that BCIMC, along with its subsidiary Parkbridge Lifestyle Communities Inc. (Parkbridge), and the Government of British Columbia benefitted so, in the Editors opinion, the logical conclusion, at this time, is that the Government of British Columbia, BCIMC and Parkbridge committed the crimes. But we will let you the reader be the judge. Please complete online opinion poll in right hand column. That's when things started to go wrong. Arsonists simultaneously burned down their home and two other buildings on the property all at once back in May of 2010. BC Hydro cut off access to the property August 10, 2010. The City cut off their water and sewer. This made it impossible for them to operate the resort and maintain their source of revenue. As a result they obviously fell behind in the mortgage. This allowed the BCIMC to obtain title to the property at a firesale price. Jack and his Family were betrayed by their lawyers. Jack then hired Boughton and Company in Vancouver, where former Attorney General Wally Oppal works. Not surprisingly, Boughton didn't do anything for him and charged him over $100,000. It was only after the foreclosure was over that Jack learned that the Province wanted his property to hand it off to his neighbours as part of a deal that would enrich Wally Oppal's pension. But it gets worse. In steps Greg Harney. Jack English retained Greg Harney in Victoria to stop the wrongful foreclosure of his family business and home. They negotiated and agreed upon a fee of “$10,000 and two RV Sites close to the beach”. Greg went to court on two occasions and got a six month extension to the foreclosure. But then Greg tried to extort $1.2 million in legal fees from Jack for a few days work when Jack refused to go along with Greg’s demand that he sell their Resort to BCIMC for 15% of its’ appraised value. Jack contacted the President of the BC Law Society and complained that Harney was attempting to extort him and would not honour his fee agreement. John Carten, acting on behalf of the English family contacted Lawson Lundell LLP in response to his letter to Rick Mahler, Chairman of the Board for the BCIMC and rightfully advised them that the possession of property that the possessor knows was obtained directly or indirectly by criminal acts is itself a crime under Section 354(1)(a) of the Criminal Code of Canada and asked three key questions we are anxiously waiting a response to in this PDF copy of his letter. 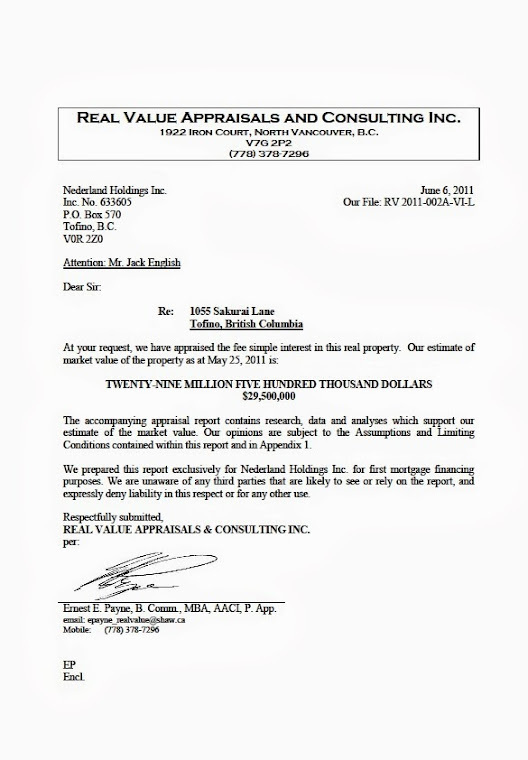 Mr Caten also made Christy Clark aware of the fraud which is shown in this PDF copy of that letter as well. Let's see how far this rabbit hole really goes. Stay tuned. After this happened Jack and his kids were left destitute. Christmas they had nothing. They had no hot water, no sewer, no money and no food. They were sitting at the table on Christmas and Jack's 10 year old daughter asked him are we going to die? Jack uncomfortably said no, but it's going to be a little rough. Then it was an act of "Christian" service from a local member of the Hell Angels who gave them food at Christmas which helped them survive. Not all Hells Angles are good, but not all Hells Angels are bad either. Just sayin. I still think they should return the Nanaimo clubhouse and seize the Kelowna clubhouse instead by way of consent order. Peace. The story of British Columbia Investment Management Corporation (BCIMC) and its criminal attack and looting of the English family property is getting dirtier and dirtier with each passing day and is now the subject of a major complaint sent to both the Canadian Judicial Council and the RCMP filed by British Columbia lawyer John Frederick Carten who blew the whistle on major crime by insiders at the British Columbia Government in the water war crimes (by friends of Justice Elizabeth Bennett) and who has been assisting is story Jack English and his family attempt to recover their property that was stolen by British Columbia Government insiders using violence and other crimes that Elizabeth Bennett and her crooked gal pals on the bench, Mary Saunders and Nicole Garson, are trying to cover up by their recent judgment. On June 29, 2016, Registrar Outerbridge made a landmark decision allowing Mr. English to file a rare "application for reconsideration" based on the fraudulent statements of the three justices contained in their judgment. Mr. Harney and his lawyers, suspected to be the notorious Vancouver law firm of Nathanson Schachter and Thompson, are no doubt shocked at the ruling that may result in all their crafty and duplicitous work being undone. (Editors Note: Nathanson and Schachter refuse to respond to emails from our editors on the question of their role in this matter). 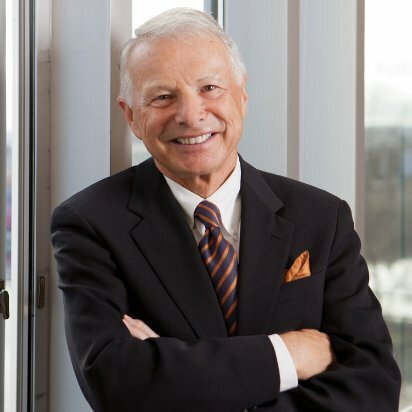 Mr. Harney and his lawyers are also no doubt doubly shocked to learn that their mischief has resulted in a rare complaint to the Canadian Judicial Council impugning the conduct of three Court of Appeal justices for engaging in the making of fraudulent statements in their judgment in order to cover up crimes by Government insiders. 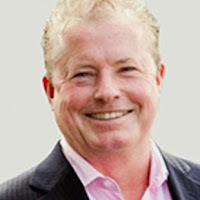 But, there is more coming including Mr. Harney's alleged links to cocaine trafficking, money laundering and the criminal gang involved in the murder Victoria area real estate agent Lindsay Buziak which appears to be connected to a peculiar ruling made by the notorious Judge Liz Bennett. So, let's go back in time and remember that in 2007 Elizabeth Bennett, a former high level BC Government prosecutor, was selected, out of 100 possible other judges, to preside at a trial involving Mr. Basi and Virk and allegations of high level corruption in the Government of British Columbia related to the sale of BC Rail to a company headed by David MacLean, a friend of former Freeemason and convicted criminal Premier Gordon Campbell. This information assists to explain why Elizabeth Bennett was selected to preside at English appeal on the Harney case that is also related to high level government corruption against the English family and their property and involved Freemasons and the Editors believe Judge Liz is controlled by the Freemason mafia in British Columbia that was, in part, involved in the attack against the English family. For the record, Mr. Harney has denied he is a Freemason but he has not denied he fabricated evidence with intent to mislead the court, a matter Liz Bennett and her gal pals, Niki Garson and Mary Saunders, are covering up by their judgment. Judge Liz Bennett made a very bad decision in the Basi and Virk case that threatened the safety of a police informants both in the Basi and Virk case and throughout Canada. The case was appealed to the British Columbia Court of Appeal where two Freemason judges, Lance Finch and Ian Donald, sided with Liz while Justice Cathy Ryan, presumably not a Freemason, dissented saying the informant should be protected from exposure. The case went to the Supreme Court of Canada where all of the Judges of the Supreme Court sided with Justice Ryan and said Finch Donald and Bennett were wrong and the informer should be protected. The case was so notorious that the Canadian Association of Chiefs of Police applied to be intervenors and argued that the judgment by Liz was wrong and dangerous to public safety. So, based on her dirty decision in that case, we know what side of the law Elizabeth Bennett is on when it comes to protecting crooks in the Government. According to Jack English, Harney said he was the best friend of Greg Martell of Victoria who is the Dominion Lending Mortgage Broker referred to the on the Buziak Murder Blog, who is in turn the best friend of Jason Zailo, Lindsay's high flying realtor boyfriend at the time of her murder, also referred to on the Buziak Murder Blog. Jason is the one with the knife pointed at Lindsay's throat in the Buziak Murder Blog photo of him and Lindsay and Greg Martel before her murder on February 2, 2008, two months after crooked Justice Elizabeth Bennett made her ruling that put in jeopardy every police informant in Canada. According to the blog, Lindsay Buziak had told her father that she had seen and heard some things she wished she had not seen or heard and ... well... we will let the readers connect the dots.... for now,... but,... the circle of corruption around Greg Harney and Justice Elizabeth Bennett is getting tighter and tighter, like a noose around their necks, as each day passes and more information comes to our attention. All of this information and much more has been passed on to the RCMP in Ottawa and Vancouver who are keen to learn more about money laundering on the West Coast of Canada because according to former RCMP Commissioner Zacardelli "In the world of money laundering all roads lead to Vancouver" where a number of dirty judges, like Elizabeth Bennett, Mary Saunders and Nicole Garson have been protecting criminals for decades. Editors Note: Although Liz Bennett Mary Saunders and Nicole Garson are crooked judges and Greg Harney may be a crooked lawyer, the real criminal behind the attacks on the English family is the criminal cabal at BCIMC which is the biggest, meanest, junkyard dog in all of British Columbia controlling $150 billion in financial assets and when BCIMC tells Greg Harney or Liz Bennett or Mary Saunders or Nicole Garson lizabeth Bennett to beat up Jack English and his family by fabricating evidence or making fraudulent statements in a judicial decision well,... they, Harney, Bennett, Garson and Saunders, well,... they have to obey orders or see their careers destroyed and that is exactly how the modern system of government works in British Columbia. It is as illegal as hell but it is the new reality in British Columbia which explains why judges have twisted and bent the law to destroy Jack English and his family and why Greg Harney, an otherwise affable gentleman, acted like a pit bull and attempted to destroy his client by threatening him with a $1.2 million bill for a few days of time and then fabricated evidence to get a judgment for $235,000 against his client. The Editors advise that they have no direct evidence that Greg Harney is involved in cocaine trafficking or money laundering. THE RIGHT HONOURABLE, JUSTIN TRUDEAU, PRIME MINISTER OF CANADA. My name is John Douglas (“Jack”) English. I met your Dad in Kamloops in 1981 and shook his hand and chatted for a while. He was a great man. I have heard that you also will not tolerate dishonesty or corruption in your government and I am aware of Wilfred Doyle’scase in PEI. I’ve been a single father with my two children, Dylan and Kimberley, since 2008. I and my children have been the owners and operators of the Pacific Rim Resort campground on Cox Bay next to the Pacific Rim National Park in Tofino B.C. since 1984. In 2009 we came under attack by what appears to be an organized crime gang within the B.C. Government. Their agents arsoned our home, destroyed our property access bridge and firebombed our Resort Office to put us out of business and take our property in a fraudulent court proceeding. There has not been a brutal terrorist criminal campaign such as this in North America since the time of Al Capone and the Chicago Mob and it happened here in Canada and it was done to us by agents of the B.C. Government. I truly hope that one day we may have the honour of meeting you, as I did your Father, and that you will look into rectifying these criminal acts, having BCIMC return our property to us, and compensate us, for the massive 5 year criminal campaign that was carried out against our family. 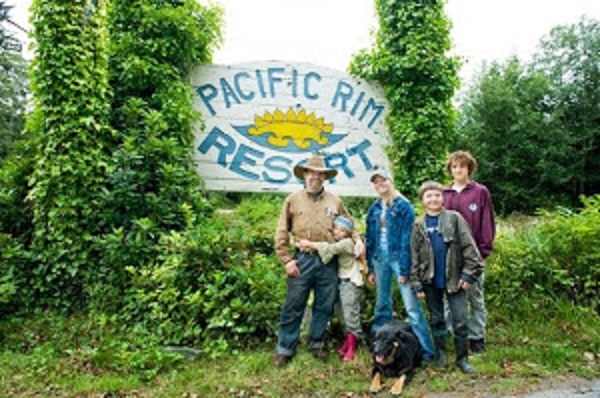 Pacific Rim Resort has 2800 feet of white sand beach, 214 acres and 1200 family campsites. We were the largest campground in the world and probably still the largest in Canada. We have accommodated cabinet ministers, rock idols, scientists and movie stars and over a million people from around the world during the time we ran and developed the Resort. 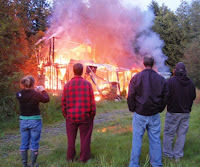 Our family’s home arsoned by agents of BCIMC, May 25, 2010. My Kids and I watched our home burnt to the ground by agents of the B.C. Government (BCIMC). CBRE was also implicated in arson attacks and the murder of a developer in Australia involving a real estate deal there. Were they behind what was done to us in Tofino? 3 years later, our First Nations friends at the Tla-O-Qui-Aht Band told us that the B.C. Government back in early 2010 told them that they were going to give them our property, but that they “had to keep it a secret or the price would go up”. My long time friend, Chief Moses Martin told me that the Band didn’t want BCIMC in their Territory. We also discussed BCIMC’s apparent connections with the Pickton Pig Farm and that the www.abeldanger.net website maintains that BCIMC financed the Piggy’s Palace Night Club and the “film studio” at the Club. David Hawkins says that it was run by the Piggy’s Palace Good Times Society, and that BCIMC sold snuff films of women being murdered for $5,000 each. Moses’ granddaughter, Lisa-Marie, disappeared on June 30, 2003 and has never been found. Moses said to me that BCIMC was not welcome in their territory. Then in August 2010 unknown attackers destroyed our water pump house and equipment and we ended up having no running water for 3 years. Tofino Municipality, who has their pensions with BCIMC, illegally cut off our sewer service that had been there for over 25 years in order to put us out of business so their B.C. Pension Fund could take our land. Our insurance company, Lloyds, refused to cover our losses and still haven’t compensated us. It’s blatant corruption on an unbelievable scale done in plain sight. Tofino Municipality then brought in an illegal bylaw to put us out of business, denied us our business licence, and blocked us every way they could so that BCIMC could take our property like the Al Capone Racketeers & Gangsters that they are. 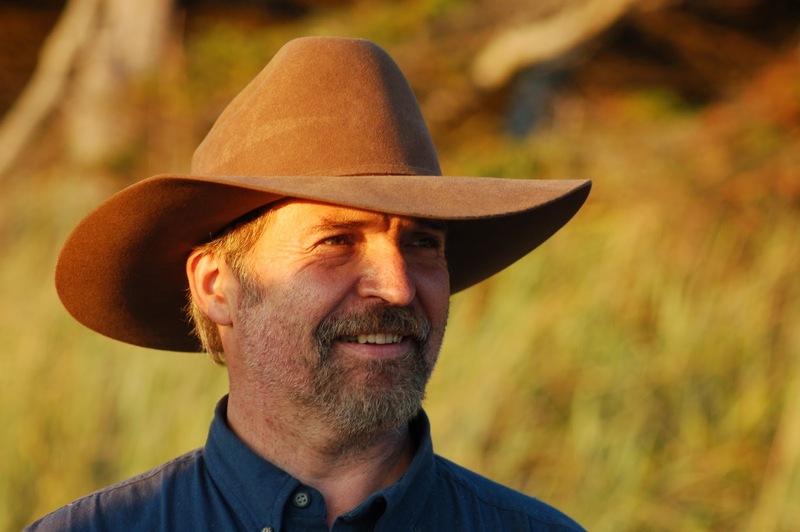 John Fraser and Braden Smith, pictured below, wrote and passed a new Development Cost Charge Bylaw in 2010 that billed us retroactively for over 5 million dollars for our campsites that were already built back in 1970! This was also done in order to assist BCIMC to steal our land. They called their Illegal Bylaw the “Get Jack Bylaw”. They were both rewarded: Fraser was hired as a Realtor with BCIMC owned Sotheby’s Real Estate and Smith was hired as a high paid official with the City of Winnipeg. The District of Tofino municipal pensions, of course, are run by BCIMC. Stream is where we got water & bucket was our toilet! 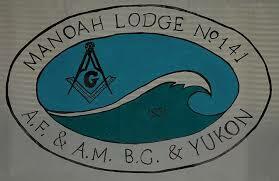 Tofino Masonic Lodge: Assisted Terror Attacks? Moses and I met with BCIMC CEO Doug Pearce at the BCIMC Boardroom in Victoria in 2013. I explained to Mr. Pearce, on behalf of the Tla-O-Qui-Aht First Nations, that their Band had an 80% unemployment rate and Chief Moses and I had been in discussions about leasing 40 acres on the highway with 300 campsites to the Band to create 30 – 60 long term jobs and other long term economic and employment developments. Mike de Jong, Minister Responsible for BCIMC, also has refused to acknowledge my letter that outlines these crimes, after I personally handed it to him at Cowichan Bay, B.C. on May 3, 2016. Our property access was bridge destroyed by B.C. Hydro (BCIMC) August 10, 2010 and we still cannot access this half of the resort property with 600 campsites. This is where our bridge used to be before the 2010 illegal Trespass/Attack by B.C. Hydro. BC Hydro Brass lied to us: Charles Reid, Dan Doyle, and David Lebeter, Liars! I’m writing you, as the new Prime Minister of Canada, to seek your assistance with respect to the extremely disturbing situation of our property being criminally taken from us. And now they are working on taking the last half of our property with the missing bridge and a corrupt Lawyer in Victoria named Greg Harney who is attempting to steal this last part of our property by way of a fraudulent 1.2 million dollar concocted and utterly unsupportable legal bill for $25,000 worth of legal work! Then he’s told us he will put our property up for sale and hand the last of our land over to BCIMC with nothing to us and a big pay off for him! How can this sort of criminally planned theft and organized crime chicanery go on in Canada? We applied over 3 years ago to the B.C. 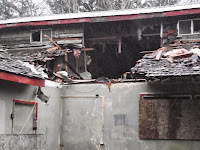 and Federal Information and Privacy Commissions for documents concerning the attacks on our property which we have been informed were carried out by David Emerson, Farris & Company, Vancouver, and Tracy McVicar, B.C. Hydro, the District of Tofino, and British Columbia Investment Management Corporation in Victoria, B.C. As well, BCIMC appears to have been aided and abetted by the commission of criminal offences of an Officer of the Court, namely Mr. Gregory Harney, Lawyer in Victoria and Calgary, as he has knowingly filed obvious and proven fabricated documents in the Court, thus completely and utterly abrogating his Oath of Office. See www.gregharney.blogspot.ca for more. Harney has committed treason against the Courts and the people and Government of Canada by engineering a “rigged Supreme Court decision” based on false statements covering up indictable criminal acts. Mr. Harney, who is the Victoria lawyer in this case, is guilty of fabricating and filing fraudulent evidence that he used to win his case in court proceeding contrary to Section 137 of the Criminal Code of Canada (“fabricating evidence” which is an indictable offence carrying a 14 year jail sentence )! Yet nothing has been done to him for these crimes. Why? An investigation should be commenced into who was involved in this clear instance of case rigging and court interference, which, in the US, would net the perpetrators 20 year prison sentences under the US RICO Statutes. 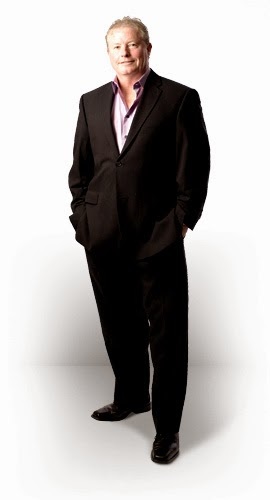 Gregory N. Harney, con man, liar, and thief, of the firm of Shields Harney below, appears to also be working for BCIMC to help them steal his client, Pacific Rim Resort’s, last remaining property! Here he is, another snake in a suit! We are asking you to discuss this information with your new Justice Minister, Jody Raybould, so that she too will know what is really going on in the Courts and the Law Society here in her native B.C., and for you to take action in this matter as well. We will be appealing the BC Government’s outrageous, fraudulently compromised, and clearly influenced attempt to deny us FOI documents that is clearly intended to assist the B.C. Government union pension fund and their agents within the BC Government to steal the last of our family’s property in Tofino, B.C., and to hide the truth from the Federal Government and the People of Canada. I know that your Father would never tolerate this sort of criminal interference with the Courts and the justice system by a Victoria BC Pension Fund and a compromised and utterly unethical Victoria BC Lawyer. These crimes have been committed with such obvious total disregard for the law, by municipal and B.C Government officials and by Officers of the B.C. Courts, who are supposed to be upholding and protecting the law on behalf of the people of Canada. Their criminal conduct against our family is reprehensible, treasonous, and unforgiveable. Now, in addition, we wish to inform you that the Office of Information and Privacy for BC has, after a three year struggle on our part, recently agreed to release, through Freedom of Information, some of the government documents relating to the criminal taking of our property in Tofino from 2009 to present. But the BC Ministry of Justice, who we have been told participated in organizing this fraud upon the courts and multiple terror attacks against our family and our property in order to steal our land from us, has now objected to the release of these public documents in order to cover up THEIR CRIMES!!! So now they have filed a Petition in BC Supreme Court to prevent these documents from being given to us, even though the Commissioner of Information ordered that they be provided to us immediately. This is astonishing that the province of B.C. is attempting to hide Federal Government and Provincial Government documents from us on the grounds that “such release could damage the security of the Province of B.C.” What have they got to hide? This is like a Hollywood Movie. The RCMP have also done nothing to solve these crimes or even investigate suspects whom we passed on to them. This is over an 8 year period, despite our complaints to the RCMP Police Complaints Commission, Commissioner Paulson did nothing to investigate the biggest domestic terrorism attacks and theft in Canadian History. We now know how the attackers hit us and with what equipment and that they were paramilitary trained mercenary operatives backed up by 24/7 real time satellite surveillance and a military style war room. Why hasn’t Commissioner Paulson figured this out, or does he already know? Again, silence from Canada’s Top Cop. What’s going on here? Elizabeth Denham, BC FOI. B.C. Attorney General, Suzanne Anton. Elizabeth Denham BC Commissioner of Information has ordered the BC Government to release documents concerning the government’s theft of our property. The BC Attorney General is fighting in Court to stop the release of the documents! This is a criminal government cover-up! Mr. Prime Minister will you please intervene and obtain copies of all these documents from your Government and kindly review them yourself and decide whether our family, who lost our home, our only business, and our property that we had owned and operated for 30 years, should be allowed to see how and by whom this was done to us? As it stands now, our property is being illegally held, as stolen property as the proceeds of crime, by the British Columbia Investment Corporation in Victoria, B.C., who then threw our family into the street in poverty and homelessness in September 2013. They next intend, we believe, to sell it for a massive profit to your Federal Government and hand over to the First Nations Tla-O-Qui-Aht Band, who have told us that they were shocked and horrified when the BC Government Treaty negotiators told them that they were to be given our family’s property, but that they “had to keep it a secret or the price would go up.” This is all documented and was confirmed by Chief Moses Martin, the Band Council, and treaty negotiator, friend and band shaman, Levi Martin, of Long Beach. We are hopeful that you will investigate these crimes in progress with a view to returning our property and compensating our family for what has been done to us in terms of the B.C. government stripping us of our home, business and land by the commission of domestic terrorism and multiple crimes including arson attacks; destruction of our access bridge; cutting off our water and sewer services; influencing court officials, court cases, lawyers and judges; and numerous sabotage and murder attempts, in one of the most heinous and violent terrorist attacks and thefts in Canadian history. Unfortunately, the RCMP has never done any real investigation at all and has made no arrests in four major arson attacks against us, the destruction of our steel gates and property access bridge, the destruction of our water pumps and building, breaking into all our buildings and stealing our tools and equipment, sabotaging our truck, spraying graffiti, influencing officers of the Court and Municipal Government officials, filing fabricated evidence in court, defamation, and death threats made to our financing agent, among other crimes! It is very clear to us who carried out all these attacks and why. “Cui Bono” said Seneca: Who Benefits? The BCIMC civil service pension Fund, David Emerson, CAI and insiders in the B.C Government! That’s who benefits. Thank you for your time and concern. I sincerely apologize to be the bearer of the truth, which in this case, is most distressing. I send this with the greatest respect and admiration. We are so glad that you’re on the side of the people of Canada fighting for truth and justice. We believe that you will be recognized as one of our greatest Prime Ministers and that you will not tolerate corruption or wrongdoing in your government, just as your Father ran this country when he was PM. Thank God you have come to save Canada. The fate and future of our family is in your hands. 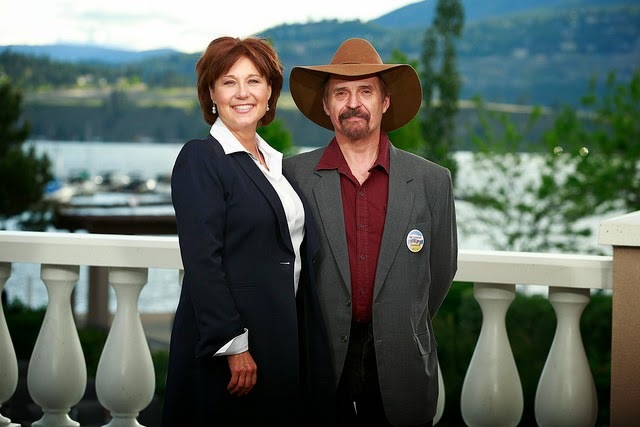 Pemier Christy Clark and I meeting in 2013. However, she too has not acknowledged receiving the letter I personally left at the Legislature on Feb. 25, 2016 (Copy attached.). Are they hiding the truth from her, or is she afraid to reply to me? Was this fire started by agents of BCIMC? Did Doug Pearce engineer a civil conspiracy? Did he authorize terrorism against the English family? Pearce's salary in 2011 was $999,977.00. Which is three times more than the Prime Minister of Canada who is paid $317,000 per year. Why is this guy paid so much? Why did he suddenly announce he was retiring four weeks after this blog `revealed his role in the criminal conspiracy to loot the English family property? Is Andrew Blair the driver of the getaway car at a massive robbery? As CEO of Parkbridge, the vehicle now carrying the loot from a cleverly orchestrated criminal conspiracy, Blair sits in a similar legal position to the driver of a getaway car at a bank robbery. Appraisers valued the property at close to $60 million. 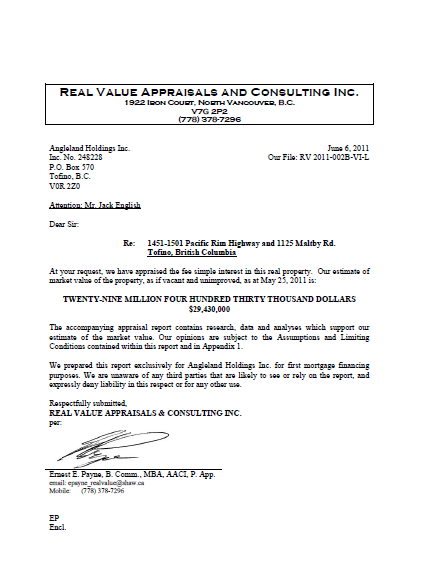 Scroll down to read two appraisal letters dated May 2011 that were summary letters for professional appraisal reports prepred for court proceedings but the property was sold for $16 million to Parkbridge after Mission Creek and Parkbridge colluded to effectively keep the property off the market. Legal scholars believe that the collusion amounted to obstruction of justice which is a Criminal Offence under section 139 of Canada's Criminal Code. Will Parkbridge and its officers go to jail? Was Mike Nissley, of Atlanta, Georgia, breaking American law when acted as a secret agent assisting BCIMC to acquire the property of Pacific Rim Resort at distress sale prices while pretending he was agent for the English family? Did Mike Nissley hire the terrorists for fire bombed the English family resort buildings? Did Mike Nissley persuade Tofino Municipal workers to screw the English family? Was this a cross border crime? Were the English Family victims of public service pension plan terrorism? A $100,000 REWARD has been offered for information leading to prosecution and conviction of the persons behind the attacks on Jack English and his property at Pacific Rim Resort. Did government employees or agents carry out arson attacks to dissuade competitve bidding and prevent a refinancing? Readers are asked to contact us at - pacificrimresort@hotmail.com - if they have any knowledge of the meaning of these symbols painted on the pole after an attack or who painted them. The terrorist attacks on the English family property Pacific Rim Resort were carefully carried out and the terrorists painted Native Indian symbols on the poles in an obvious, but painfully dumb, expectation that people would blame Native activists for carrying out the attacks. This is a common tactic by certain insider groups in British Columbia but the people are no longer fooled by such divide and conquer tactics. There are two key problems with the malicious attempt to throw suspicion on the Natives. 1. Natives in British Columbia and, in particular, in the Tofino region of Vancouver Island have consistently refused to use violence in their campaign to re-acquire title to their lands and, in all of their claims, they have acknowledged the equity of non-native title owners. 2. The English family have enjoyed hospitable and friendly relations with the local Native community. 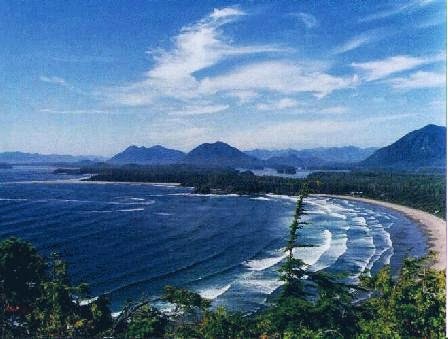 Was a Criminal Gang in charge of Tofino? Why did the District of Tofino single out the English family for unfair treatment. Were civil service employees helping their pension fund, managed by BCIMC, acquire the resort at a reduced price? Was this fire a negotiation tactic to force the Englsih family to sell their resort at a reduced price? Why did they call it a "Get Jack By-law" in municipal offices? 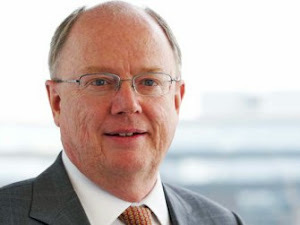 Charles Reid is the present CEO of BC Hydro. Why did he suddenly resign from BC Hydro when teh BC Hydro role in the criminal conspiracy against the English family was exposed? These two young men were found in the office buiilding after the fire. The RCMP refused to take them in for questionning or fingerprinting. They may be from the Comox Valley. Readers are asked to contact pacificrimresort@hotmail.com with information about their identity and links to BCIMC, BC Hydro or others alleged to be part of the attacks on the English family. The lives of these young men may be at serious risk because, if involved, the masterminds behind the attacks on the English family may murder them to cover up. Reid Pearce and his father, Doug Pearce, were seen by a witness skulking around the Pacific Rim Resort property. According to online reports, Reid Pearce studies finance and real estate at UBC and he is a Finance Department intern with Bentall Kennedy a company partly owned by BCIMC. Does Doug Pearce teache his son about hostile takeovers using violence, arson and terrorism? Why was Reid Pearce with his father and the real estate agent on the Pacific Rim Resort property? Reid is also a keen surfer and is regularly seen in the Tofino area. Cheryl Yaremko is on the Board of Directors of BCIMC and she is the Chief Financial Officers of BC Hydro. She is in a conflict of interest because, in our opinion, by refusing to settle the legitimate claims by Jack English against of BC Hydro, Cheryl is assisting to confer illegal profits on her pension plan managed by BCIMC. Ms. Yaremko has not responded to our reporters questions about her role in the terrorism and financial destruction at Pacific Rim Resort. The usual rule in civil litigation is that silence = guilt. "No Employee or Director should hold a substantial private interest, directly or indirectly, through a relative, friend or associate, or hold or accept a position as an officer or director, in an entity where by virtue of his or her position in BC Hydro the Director or Employee could in any way benefit the entity by influencing the decisions of BC Hydro." The continuing decision by BC Hydro refusing to pay its legitimate bills and repair damage it did to property owned by the English family companies is conferring a continuing benefit on BCIMC - the entity - where Yaremko is a Board member. Is Dan Doyle Guilty Of Conspiracy? 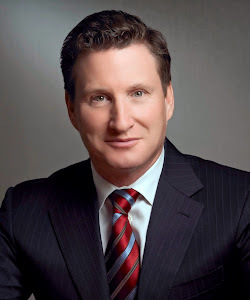 Dan Doyle is Chief of Staff to British Columbia Premier Christy Clark but he may been in deep trouble. Will the cowardly Dan Doyle Go To Jail? Dan Doyle was Chairman of BC Hydro when BC Hydro employees smashed down the locked gate on the English family lands near Tofino on Vancouver Island and broke the access bridge. The BC Hydro Employees were obviously operating on orders from above and Dan Doyle may have given those orders. Under Dan Doyle BC Hydro initially agreed to make good on its damages and in fact it lured Jack English into what now appears to have been a "bait and switch strategy" leaving Jack English in a position where he was unable to fight the conspiracy to take over his property. Dan Doyle tried to portray himself as a nice guy but then, under his leadership, BC Hydro refused to pay its debts and refused to fix the bridge it broke and now it is dragging out the case in the courts hoping Jack English will go away or die. This is a common strategy by the BC Government and is one reason why British Columbia is not a safe place to invest. It sure looks like it was deliberate. 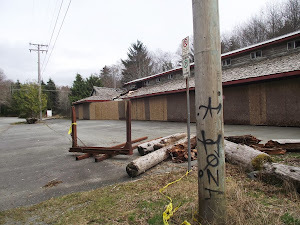 BC Hydro appeared without any notice, ignored no trespassing signs, smashed down a locked gate, and broke the bridge that had been in place for over 30 years. They were trying to sneak away without telling anyone when Jack English showed up. Dan Doyle from BC Hydro promised to replace the bridge and pay costs incurred by Jack English but never did. BC Hydro delayed, delayed, delayed, and delayed and BCIMC benefited and Dan Doyle is now Chief of Staff to Premier Christy Clark and he refuses to return telephone calls or meet Jack English and he is hiding behind the skirts of his woman Premier like the coward that he is. Greg Harney was the lawyer for Pacific Rim for a few months and billed 1.1 MILLION DOLLARS. What is the British Columbia Investment Mamagement Corporation? There is nothing on the BCIMC web site about using terrorism as a tactic to acquire property at distress market values. However, companies don't usually advertise that they use criminal tactics, do they? BCIMC manages pension funds for civil servants all over British Columbia and it would be a simple matter to persuade civil servants to break the law when the prosecutors and judges also have their pension plan funds invested with BCIMC. 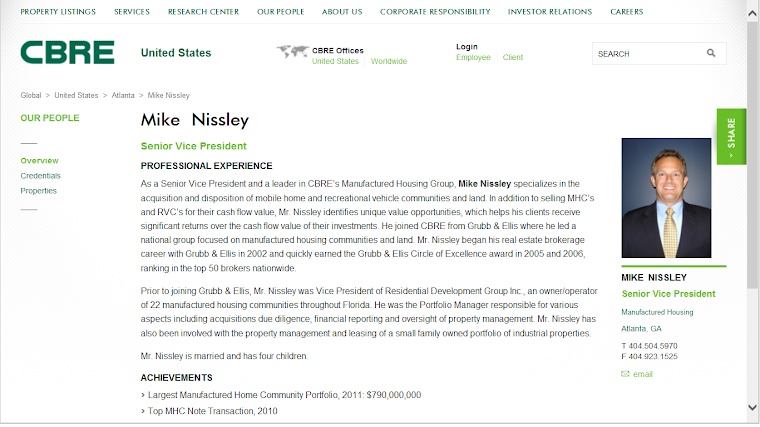 There is nothing on Mike Nissley's web site about using terrorism to help his secret clients, like BCIMC, acquire valuable property at distress sale prices. 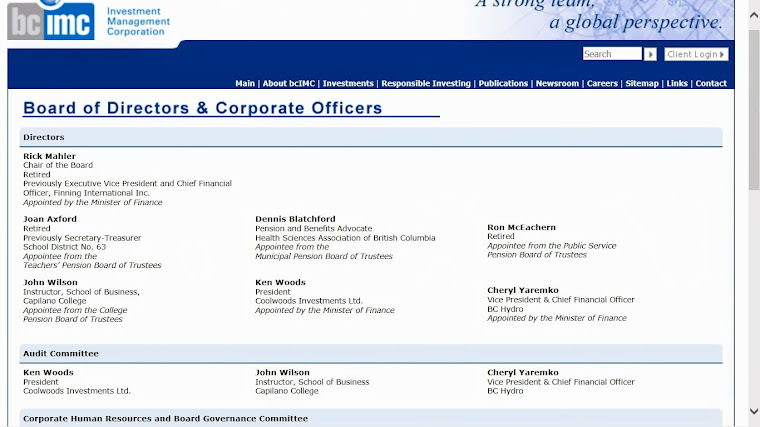 Board of Directors for BCIMC - Are they terrorists? Did the Board Members at BCIMC approve of the use of terrorism, arson and threats as a tool in a hostile takeover of the Pacific Rim Resort property? Did Cherly Yeremko approve the use of BC Hydro employees to destroy the access bridge?